Description: In the summer of 2014. the Albanians staged the largest protests since March 2004 pogrom. Their reason was the desire that after the removal of barricades on the bridge in Kosovska Mitrovica, and remove obstacles to the cars to make them freely passed through. It did not happen out of fear of violence, which could be extended to the north of Kosovo. And it came to expanded, does not pass a long time between the attacks on Serbs, car bombing, attempted murders and kidnappings. 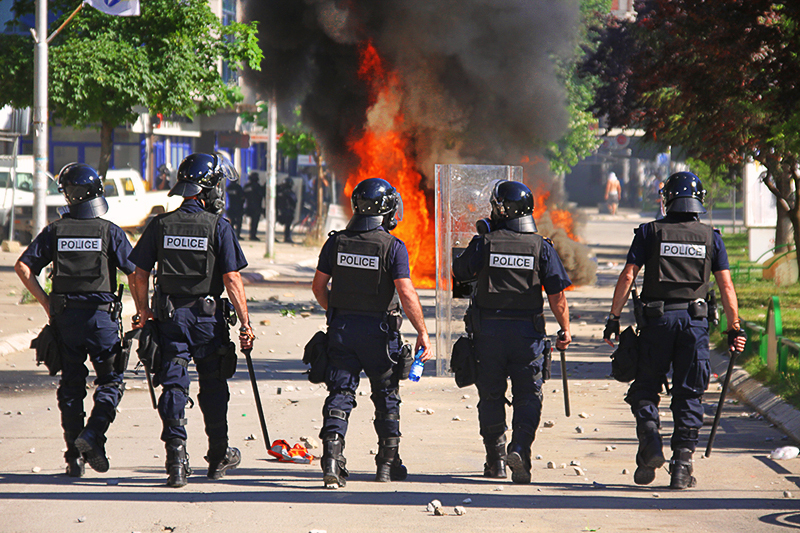 Caption: In the summer of 2014. the Albanians staged the largest protests since March 2004 pogrom. Their reason was the desire that after the removal of barricades on the bridge in Kosovska Mitrovica, and remove obstacles to the cars to make them freely passed through. It did not happen out of fear of violence, which could be extended to the north of Kosovo. And it came to expanded, does not pass a long time between the attacks on Serbs, car bombing, attempted murders and kidnappings.